“We go through life thinking we are the chariots," Rosh began speaking as father and son began this ritualistic daily walk. "The composition of our limbs, and experiences and memories - that senses and acts and thinks and feels." "But where is the me that I identify with in any of these?" "Yesterday I told you the story of the Bhikshu who helped the King in his quest to understand who he really was." "Did that help you discover who you really were? Where is the chariot? That is the question." "Vedas, the oldest extant literature of humankind, have answered this question. That answer is 'That thou art'. Tatvam Asi." Aham Brahmasmi. Which means I am Brahm. Tad Ekam. Which means That is One. Aham Idam. Which means I am It. Tatvam asi. Which means That is You. “We grow up believing in duality. I am me, and you are you. That makes two. When there are two, conflict arises. This is mine, this is thine. This line of thinking naturally extends to including God." 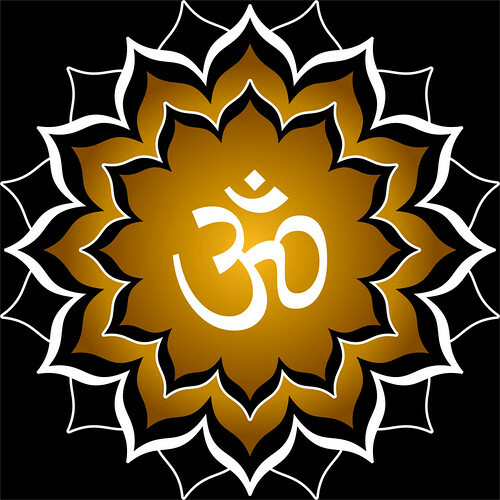 “The proliferation of these sayings in Upanishads shows Vedas believe in Monism, rather than dualism. This is why many scholars believe that Upanishads teach Advait - which means primal unity. Tat tvam Asi. That art thou." “… A cursory glance at ancient history shows clearly how in different parts of the world, with their different cultures, there arise at the same time the fundamental questions which pervade human life: Who am I? Where have I come from and where am I going? Why is there evil? What is there after this life?" "These are the questions which we find in the sacred writings of Israel, as also in the Veda and the Avesta; we find them in the writings of Confucius and Lao-Tze, and in the preaching of Tirthankara and Buddha; they appear in the poetry of Homer and in the tragedies of Euripides and Sophocles, as they do in the philosophical writings of Plato and Aristotle." "They are questions, which have their common source in the quest for meaning, which has always compelled the human heart. In fact, the answer given to these questions decides the direction which people seek to give to their lives…”. “Do you begin to see now?” asked Rosh. "Aye," Rosh sighed, "You must know yourself. You are worth knowing. Perhaps, more than anything else." 'There is hope', he thought, as the duo walked into the bush discussing life and how one could live life. But the crows perched atop the trees disagreed. "Aow, Haw, How?" the others cawed.